Townsend Leather Company will be unveiling its first product line designed by Roger Thomas, recognized leader in interior design for the hospitality industry, at this year’s HD Expo in Las Vegas in May. "Mr. Thomas came to Townsend with the vision of updating the classic beauty of genuine parchment made popular by Jean-Michel Frank in the 1930’s". The Faux Parchment leather created for this collection invokes the look of genuine parchment, but with a soft supple feel, suitable for wall covering or upholstery use. As Executive Vice President of Design at Wynn Design and Development, Mr. Thomas has most recently created the interiors of such iconic properties as Wynn Las Vegas, Encore at Wynn Las Vegas, Wynn Macau and the Encore at Wynn Macau that opened just last week. Mr. Thomas was elected to the Hospitality Design Platinum Circle in 2005 and received a Lifetime Achievement award from NEWH the same year. His other accolades include being listed twice in Architectural Digest’s AD 100, being named 'Designer of the Year' at the 2008 International Hotel/Motel & Restaurant Show®, receiving the 2009 Design Icon distinction from the World Market Center in Las Vegas, and receiving the Jay Sarno lifetime achievement award at the G2E Expo in recognition of his significant career achievements in the field of casino resort interior design. 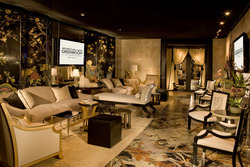 Mr. Thomas designed this year’s Academy Awards Green Room in which the Faux Parchment leather was featured on wall panels of the 'old –Hollywood- glamour-inspired' room. Mr. Thomas will be making an in-booth appearance at Townsend Leather’s booth #5555 at the HD Expo in Las Vegas in the Sands Convention Center on the morning of Thursday, May 20, 2010. Townsend Leather will launch additional Roger Thomas signature collections over the next year including a range of large-scale, damask embossed leathers. 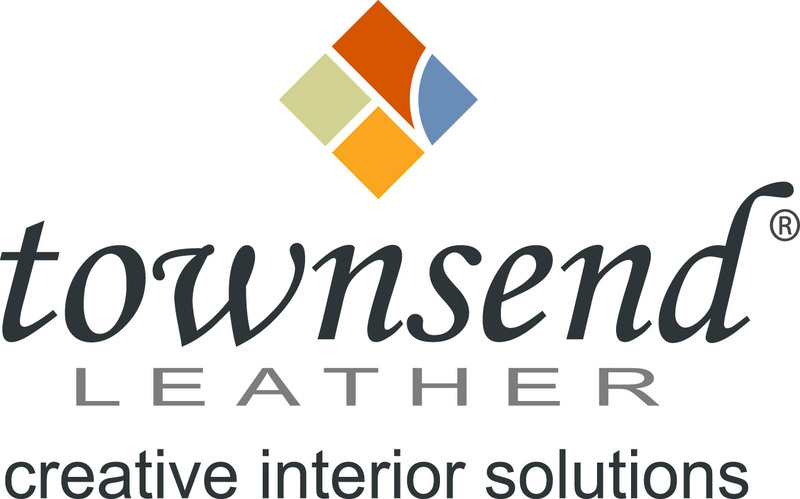 Townsend Leather is a 40-year-old U.S.-based manufacturer of upholstery hides and decorative leathers, supplying the A & D Residential and Hospitality, Home Furnishings, Corporate, Business, and Commercial Aviation, Motorcoach, and Yachting markets internationally. Townsend Leather prides itself on producing highest quality designer leathers that push the boundaries of what is possible with leather from the perspectives of color, texture, pattern, and cutting edge design. 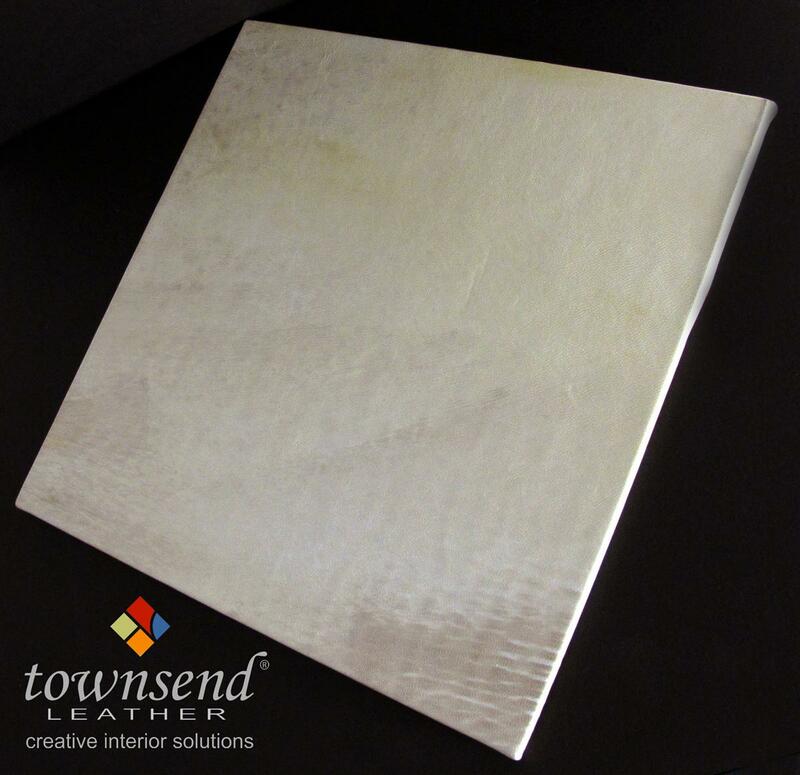 For more information on Townsend Leather or the Roger Thomas Collection-designed Faux Parchment leather, contact us at townsendleather.com.